3) Application of the design concepts and literature. If something doesn't function when I go to use it you have violated strand 1. It needs to actually function. If come up with a technically functional presentation that doesn't actually deliver content in a manner that is correct, well kiss number 2 goodbye. You could meet and 2, but if you haven't brought good design ideas to bear then it's not really great instructional media. Anyway these are my strands. Even though the specifics of matrial covered changes these big ideas are woven through. I might have dozens of learning targets, but they all fall under one of these larger strands. 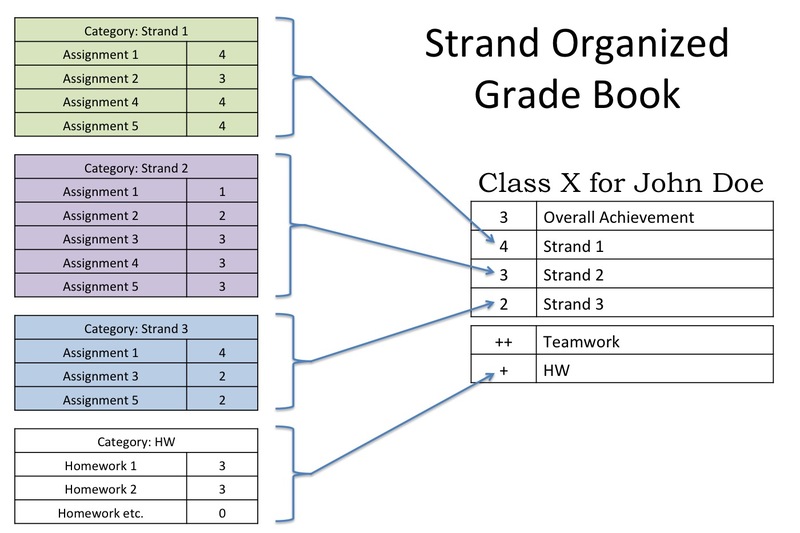 If I was able to report by strands I would rearrange my grade book and organize it by strands. I already evaluate the work on the applicable strands (think the rows in a rubric). 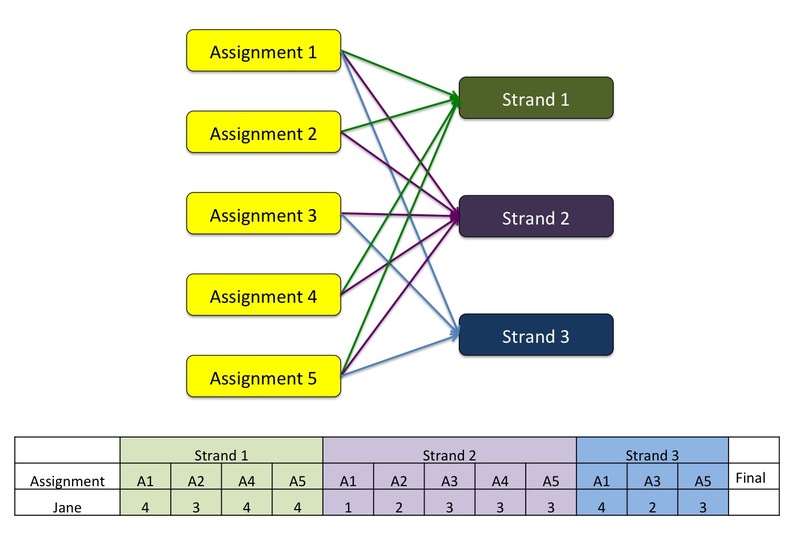 Not all assignments will touch on every strand, but with 4 or 5 assessments, I can cover every strand (not learning target) multiple times.